Joakim is an Account Manager as well as a Senior Assessor. Joakim has 20 years’ experience of leading, developing and growing companies and businesses. 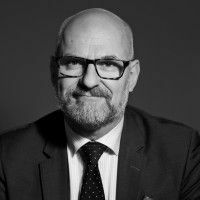 He has had executive roles as, for example, the CEO of Lantmännen Agroetanol, CEO of Svenska Statoil and Business Manager for ICA Telecom. Joakim has also got experience from a number of board assignments, both as a member and as a chairman. Since 2012, Joakim has been a Partner and has worked with executive search, mainly within the industrial sector, banking, insurance, and service. Joakim is a graduate in economics from Uppsala Universitet. He is a certified interpreter of SHLs OPQ, Occupational Personality Questionnaire.